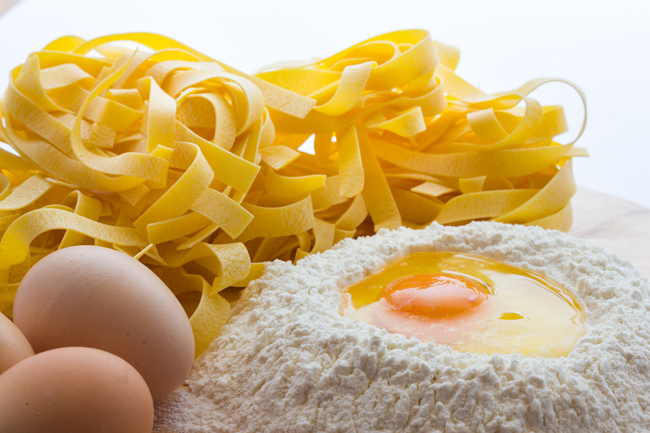 Emilia-Romagna may very well be considered the kingdom of fresh, handmade pasta! While you may be familiar with tortellini and tagliatelle, you may become confused when reading the menu of a local trattoria and seeing names like tortellacci, cappelletti, garganelli, gramigna, etc. Sometimes, the different name is just a local variation of the same thing, as for tortellini (Bologna) and cappelletti (Modena), or a variation on the size (e.g. tortelli – tortellacci). Other times, it is a different type/shape of pasta altogether and it may be difficult to know them apart if you are not from the area. 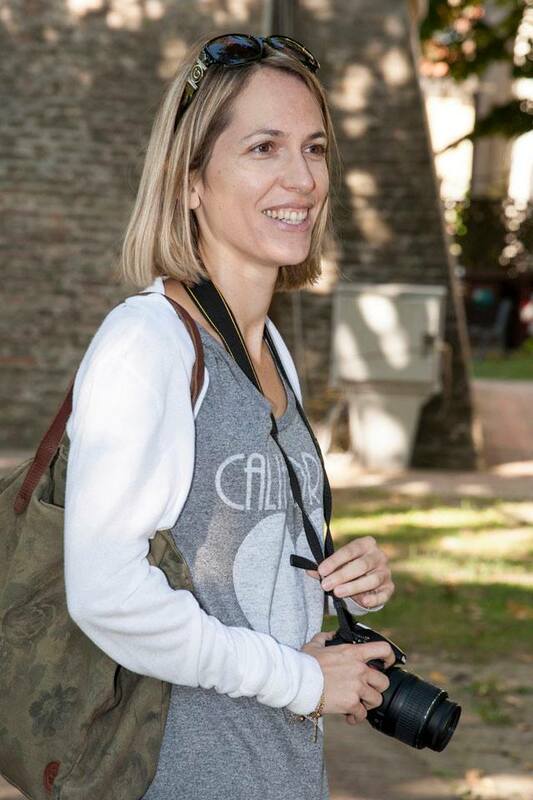 That’s why I have compiled this list of some of the most common types of fresh pasta you will find in Emilia-Romagna – hopefully, it will inspire you to try out something new, either at the restaurant or at home if you make your own pasta! Stuffed pasta perfection! Tortellini are filled with minced pork and other goodies (here’s the official recipe for the filling) and usually served in brodo (broth); tortelloni, a larger version of tortellini and a Bolognese favorite, are filled with ricotta and spinach or herbs; tortelli are square-shaped and similar to ravioli, but are not called ravioli in Emilia (I know, confusing!) and they are usually filled with ricotta and herbs, or pumpkin, or potatoes, or mushrooms; tortellacci are the biggest of the four, and again are usually filled with a combination of ricotta and some other vegetable/herb. 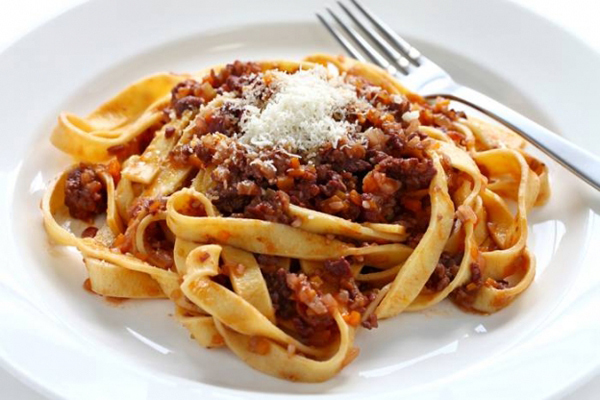 Ideal with thick sauces, tagliatelle reach their apotheosis when tossed with Bolognese ragù! A glass case inside Bologna’s Chamber of Commerce holds a gold replica of a piece of tagliatelle to show what their correct measurement should be: 8 mm wide when cooked (or, the 12.270th part of the Asinelli Tower’s height). 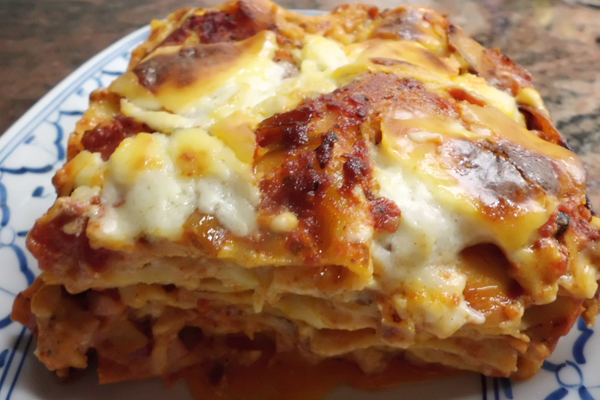 What’s better on a cold winter day than some smoking hot lasagne just out of the oven? The thin layers of rectangular pasta dough are perfect to enhance Bolognese ragù; for vegetarians, there are now many versions, but consider that the authentic lasagne alla bolognese recipe calls for ragù! Lasagne Verdi (green lasagne), where the dough is mixed with spinach, are a popular variation. 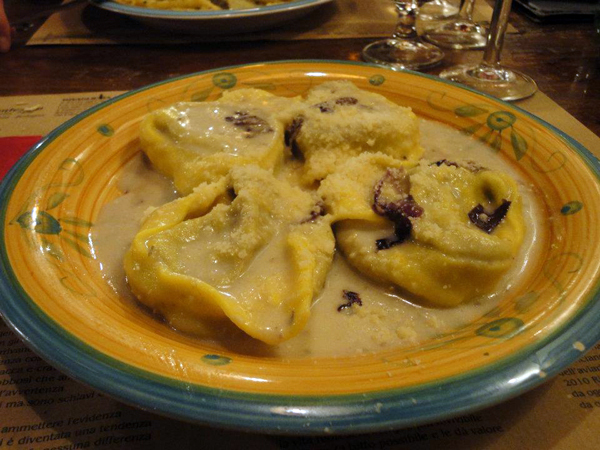 Cappelletti are Modena’s version of tortellini – the shape is similar, but not exactly the same. 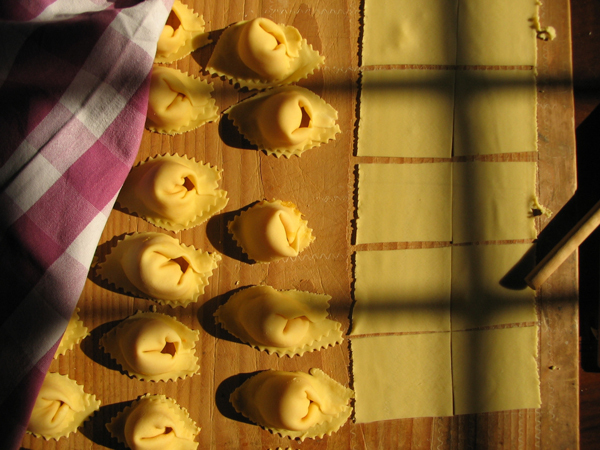 Cappellacci are bigger and usually filled with cheese and some kind of vegetable; the most famous are the cappellacci di zucca from Ferrara. 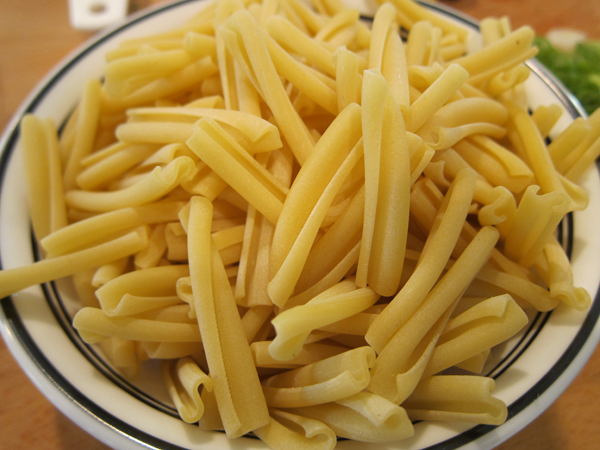 Similar in shape to penne, garganelli are obtained using a specific instrument called pettine; unlike penne, they have a clearly visible flap closing their cylinder shape. Garganelli are typically prepared al ragù (duck ragù even) or with panna prosciutto e piselli (cream, ham and peas). The cute curved curly shape of gramigna makes it a good type of pasta to go with rich, creamy sauces, but it can also be used in vegetable soups. The most popular way to cook it is with sausage: gramigna alla salsiccia. Strozzapreti, or priests’ strangler, are made from scrap dough and hand-rolled to obtain a spiral shape. They are especially popular in Romagna. 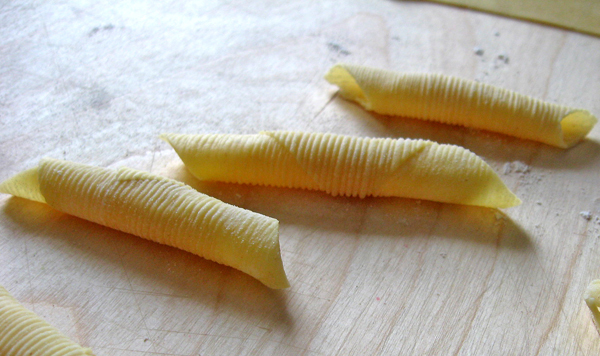 Like strozzapreti, maltagliati are made from scrap dough, but unlike strozzapreti, they are cut, not rolled. 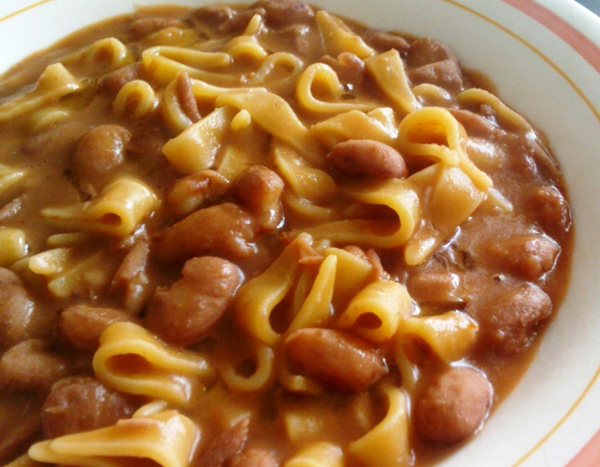 In Emilia-Romagna, maltagliati, which means badly cut, are typically used for the classic dish pasta e fagioli (bean soup). Very clear and informative, thank you for sharing! 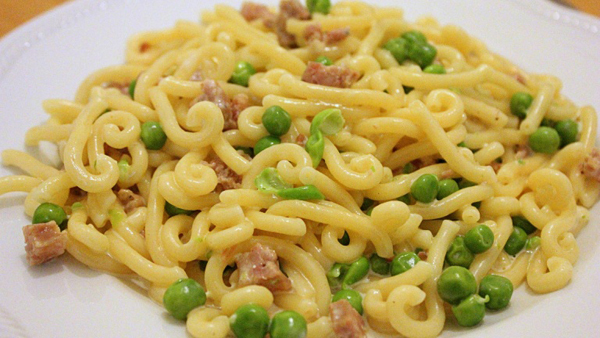 Exhaustive information about one of my favourite dish: PASTA !